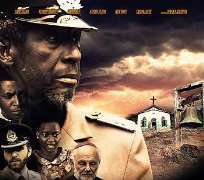 Cinema lovers are on the 'Go' mode as talented film maker Kunle Afolayan finally releases the trailer of his highly anticipated movie October 1 which should hit cinemas nationwide soon. The film's producer had initially planned to release it on the nation's independence day October 1 but had been unable to meet the deadline. Kunle is however expected to hit the red carpet with it before the end of this month. Watch video of the trailer here.